3 of the greatest icons of this sport. For many years in Cricket, wicketkeeping was looked at as a specialist position much like a pure batsman or a bowler who can't do the other facet of the game. But with the advent of the game, it is not just a one-dimensional position anymore. A wicketkeeper needs to be as good as a Batsman to be assured of the spot in the team. Only a handful of cricketers have been successful in this regard, and the upcoming wicketkeepers have already shown they are no mug with the bat and can deliver at crucial junctures of the game. The men who performed in this department have been a great asset for their respective sides, and since most of them have an attacking mindset, they can change the course of the game in a jiffy. 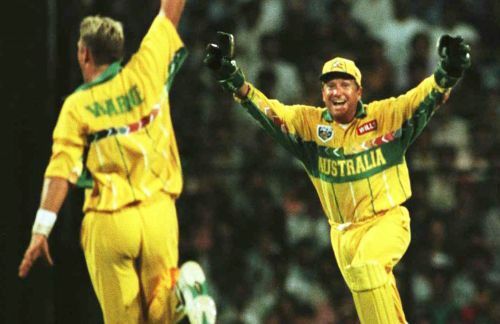 In this slideshow, we will look at five of the greatest wicketkeeping-batsmen of all times. Probably the greatest gloveman of the modern time. 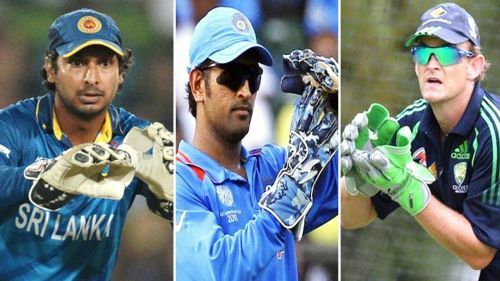 Ian Healy could have been top of this list, but the fact that he is not that great with the bat compared to the others kept him down in this list of greatest wicketkeepers of all time. He is, without a doubt, one of the best pure glovemen in the history of Cricket with 628 dismissals behind the stumps. As a batter, he has over 6000 runs across the formats with 4 Test centuries to his name. He was probably the first wicketkeeper who made the teams think that solid wicketkeeping batsmen are a requirement. He has in fact set the wicketkeeping standards for the rest to follow.